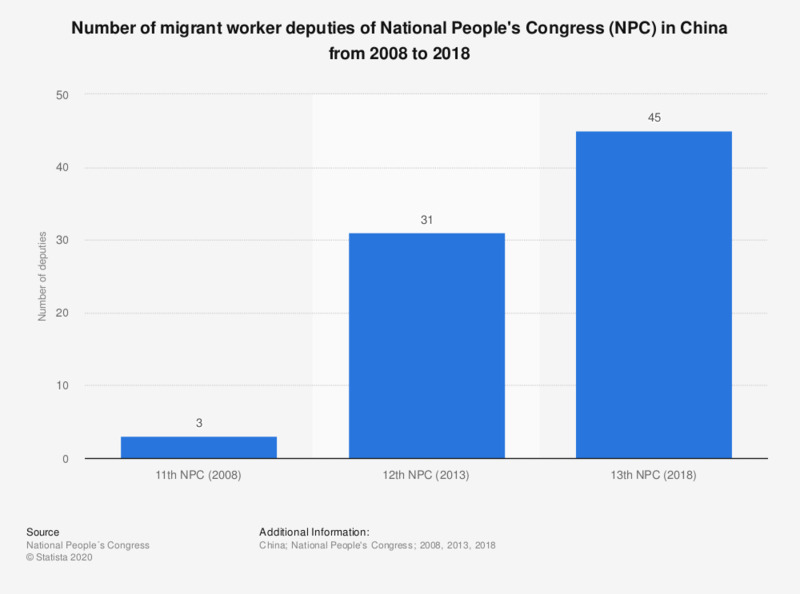 This statistic shows the number of migrant worker deputies of National People's Congress (NPC) in China from 2008 to 2018. In 2018, the 13th National People's Congress in China has given 45 seats to migrant workers. The 12th NPC hat 2,987 deputies in total.